This is a theme that has been present in many of their interviews, books and speeches over the years. They believe that each of us has a responsibility to keep learning and to keep getting wiser and more rational. 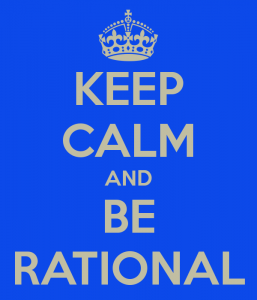 Note that they use “rational” as the opposite of “stupid” (rather than the opposite of stupid being “smart”). This is intentional as they often say that intelligence can be a disadvantage and can lead people to do stupid things. To them, life success is more about being wise and rational than smart. For me, these comments prompt thoughts about the differences, and similarities, between being a good investor and a good entrepreneur. Neither is better or worse than the other. They are just different. Each of us may focus on such different skills at different times in our life, or different moments in our same job. We all must find a balance between these effective mindsets. As an investor, it is important to watch the world happen and seize on opportunities. In a sports analogy, you should take what the defense gives you. Do not try and force a personal belief or hypothesis on the world. Do not fool yourself or fall in love with an idea. Do not fall into confirmation bias. Focus on seeing the world as it is, seeing things as they are, and then utilize an incorrectly priced asset, a misallocation of risk, or another opportunity to your advantage. As Benjamin Graham wrote, use Mr. Market to your advantage rather than as your guide. Learn the skill to be patient enough to watch and react (and remain disciplined enough to react only when the opportunities are particularly good). Use rational investing as an advantage. Entrepreneurship is often described as “changing the world” and thereby putting the stamp of your idea on the world. It is the art of seeing things the way they COULD be. It is being proactive, not reactive. Entrepreneurship may require more outward convincing of others of the opportunity — rather than the investor being able quietly to make his move without having to convince anyone else. Yet, at the same time, one could look at the best entrepreneurs as shades of the best investors and vice versa. They see an opportunity that does not seem as risky to them as to the rest of the world. They take rational risks to move their idea forward, not gambles that bet the company. They assess the risk and reward of a new opportunity and deem it worthwhile. Even the most aggressive entrepreneurs have the wisdom to be patient at times. Entrepreneurs need to be idealistic to get themselves and others motivated about the opportunity, yet realistic with themselves about “seeing things the way they are” today so they can plot the best course possible toward the ideal state they are seeking. I have been all of the above in my life: A) an irrational (and too hopeful) an investor which is the most damaging sin as an investor, B) an irrational entrepreneur (when I was too young to know any better), C) a rational investor, and D) a rational entrepreneur. Better results come from the last two than the first two.